Stress and aging strain the eyes and muscles in the eyelids. Puffy or drooping eyelids can make you look older or interfere with your eyesight. Blepharoplasty procedures can rejuvenate your appearance. 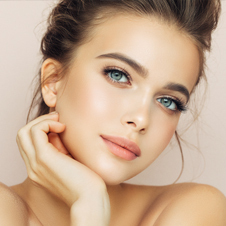 Located in Jupiter, FL, Koger Cosmetic Clinic and Medspa led by board-certified plastic surgeon Dr. Koger, performs blepharoplasty surgery for Palm Beach County residents, including West Palm Beach, Vero Beach and Wellington. Blepharoplasty is a procedure to remove excess skin from the upper and lower eyelids. This procedure may be used to remove excess fat in the eyelids or to tighten the muscles and ligaments around the eyelids. This type of surgery that rejuvenates the eyes is recommended for patients as a stand-alone surgery or at the same time as a facelift or other surgical procedure. Eyelid surgery is known for having a positive impact for patients whose vision suffers due to the eyelid. Blepharoplasty can enhance your appearance and your self-confidence. Dr. Koger recommends eyelid surgery for men generally over the age of 35. If droopy, baggy eyelids run in your family, you may be a candidate at a younger age. The doctor also recommends patients have realistic expectations of the procedure. If you think blepharoplasty is the right procedure for you, schedule a consultation with Dr. Koger. He will discuss the best course of action for your specific needs. Important information to bring to the consultation includes medical history, a list of any allergies or prescriptions and other medical information. Any records from the ophthalmologist or the record of your most recent eye exam is also helpful for Dr. Koger. If you wear glasses or contact lenses, be sure to bring them along. You and Dr. Koger will carefully discuss your goals and expectations for this surgery. Together you’ll decide whether to do all four eyelids or just the upper or lower ones, whether skin, as well as fat, will be removed and whether any additional procedures are appropriate. Don’t hesitate to ask Dr. Koger any questions you may have, especially those regarding your expectations and concerns about the results. Together, Dr. Koger will help guide you towards the best procedure to fit your specific needs. Eyelid surgery is usually performed under general anesthesia, but other anesthesia options may be available and can be discussed with Dr. Koger at your consultation. Blepharoplasty usually takes one to three hours, depending on the extent of the surgery. If you’re having all four eyelids done, Dr. Koger will probably work on the upper lids first, then the lower ones. In a typical procedure, Dr. Koger makes incisions following the natural lines of your eyelids. That includes the creases of your upper lids and just below the lashes in the lower lids. The incisions may extend into the crow’s feet at the outer corners of your eyes. Working through these incisions, he separates the skin from underlying fatty tissue and muscle, removes excess fat and often trims and corrects sagging skin and muscle. The incisions are then closed with very fine sutures. If you have a pocket of fat beneath your lower eyelids but don’t need to have any skin removed, Dr. Koger may perform a transconjunctival blepharoplasty. In this procedure the incision is made inside your lower eyelid, leaving no visible scar. It is usually performed on younger patients with thicker, more elastic skin. Any procedure is going to be tailored specifically for your needs. The cost of your blepharoplasty procedure will be discussed during your consultation. 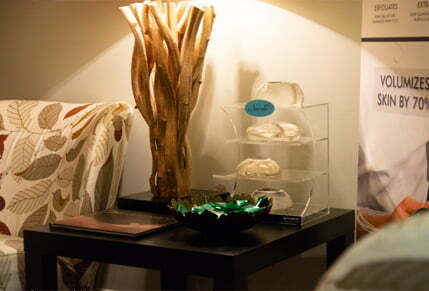 Our knowledgeable staff will explain all costs associated with your unique procedure. For your convenience, we accept cash, check, Visa®, MasterCard®, American Express® and Discover®. Financing options via CareCredit® are also available. After surgery, Dr. Koger will lubricate your eyes with ointment and have you apply ice to them. You will need to keep the head elevated for several days to encourage the healing process. Patients should expect to limit some activities based on the recovery instructions Dr. Koger provides. Dr. Koger will follow your progress very closely for the first week or two. The stitches will be removed one week after surgery. Once they’re out, most patients report looking and feeling much better. You should be able to read or watch television after a day or two. However, you won’t be able to wear contact lenses for about two weeks, and even then they may feel uncomfortable for a while. Most people feel ready to go out in public and back to work in a week to 10 days. By then, depending on your rate of healing and Dr. Koger’s instructions, you’ll probably be able to wear makeup. You may be sensitive to sunlight, the wind and other irritants for several weeks, so you should wear sunglasses and a special sunblock made for eyelids when you go out. You will need to keep your activities to a minimum for three to five days and avoid more strenuous activities for about three weeks. It’s especially important to avoid activities that raise your blood pressure, including bending, lifting, and rigorous sports. You may also be told to avoid alcohol since it causes fluid retention. If you live in or around West Palm Beach, Wellington, Vero Beach or anywhere in Palm Beach County, and are looking for a board-certified plastic surgeon to perform a blepharoplasty procedure, contact Dr. Koger at Koger Cosmetic Clinic and Medspa in Jupiter, FL, today to set up a complimentary consultation.